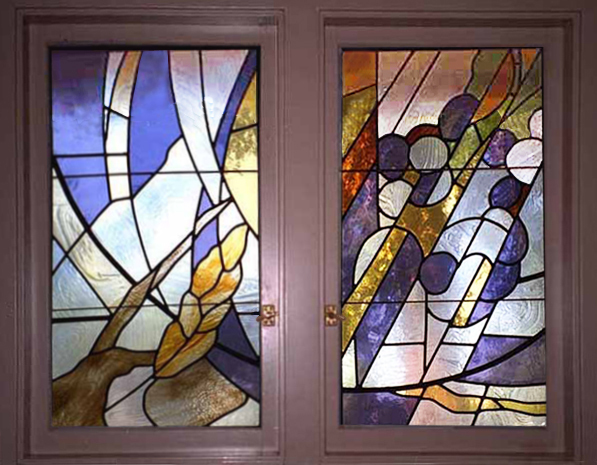 St. Martin of Tours Church window pane depicts the Sacrament of the Eucharist. 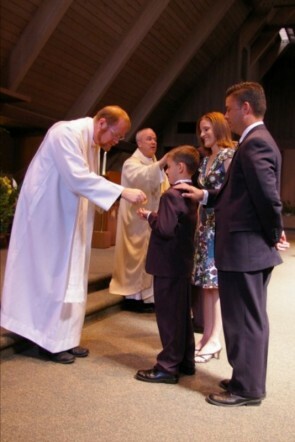 Click HERE to Register Your Child for First Holy Communion Preparation! 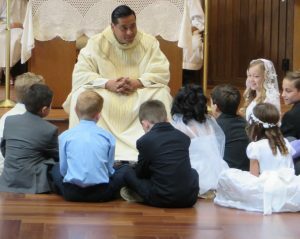 Preparing for First Holy Communion or First Eucharist is a very special time for your child. Our sacramental preparation is intended to be a family faith formation process and is designed to take place “in the midst of the community of the faithful.” While Catechists provide religious instruction, this process goes beyond the classroom and involves parent participation. It includes parent formation sessions, family faith formation sessions, liturgical celebrations, and a home study component for parents and children to learn and grow together. To prepare for First Holy Communion, we ask that each child has sufficient religious education. The preparation for this sacrament is separate from the classroom and often runs concurrently with your child’s second year of religious education. 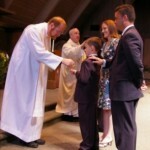 The program culminates with the celebration of your child’s First Holy Communion, typically during the month of May. For more information, contact Daniel in the Office of Faith Formation or call 408-289-9608.